More aggressive tuberculosis (TB) treatment using a high dose of rifampicin, in addition to antiretroviral therapy (ART), could reduce TB/HIV mortality among people with HIV/TB co-infection with a severe immunocompromised state, according to Corinne Merle of the London School of Hygiene & Tropical Medicine who presented the results of the three-arm RAFA trial last week at the 21st International AIDS Conference (AIDS 2016) in Durban, South Africa. TB remains the leading infectious cause of death among people living with HIV. Even when a person living with HIV develops drug-susceptible TB that appears to respond to the standard six-month treatment, twelve-month mortality is often poor. To improve outcomes, the World Health Organization recommends initiating ART as soon as possible after starting TB treatment. But perhaps TB treatment is also suboptimal in people with advanced immunosuppression, making TB harder to treat. So the RAFA trial was designed to determine whether more intensive TB treatment might help to reduce mortality. Arm A: Early ART initiation (week 2) with a standard TB treatment. Arm B: Delayed ART treatment (week 8) with a standard TB treatment. Arm C: Delayed ART treatment (week 8) with high-dose rifampicin during the intensive phase of TB treatment (15mg/kg) and standard TB treatment in the continuation phase. The study was conducted in Benin, Guinea and Senegal. The endpoints were morbidity and mortality at 2 and 12 months post randomisation (with a total follow-up of 18 months post randomisation). There was also a nested pharmacokinetic (PK) study in a sub-sample of participants. A total of 778 individuals were randomised to the study, but 31 were excluded because they had MDR-TB, CD4 cell counts that were too low or other reasons. Baseline characteristics were well matched between arms. The survival at 12 months was fairly high overall in the study with no significant difference between the arms (perhaps because the trial had excluded subjects with less than 50 CD4 cells at baseline). However, there was an interaction with the CD4 cell level. In the 159 participants with less than 100 CD4 cells, however, there was a marked difference in 12-month survival in favour of Arm C.
Arm C (High dose rifampicin): 12-month survival: 0.96, HR 0.12, 95% CI 0.03-0.55 (when B is the reference arm), HR 0.20, 95% interval 0.04-0.9 (when A is the reference arm). “When looking at the difference of survival between A and C, there is a significant difference between the two groups in favour of the high dose rifampicin regimen,” said Merle. But there was no difference between treatment arms when CD4 cell counts were above 100. Of interest, except at the two-month time point, there were similar improvements in most participants’ CD4 cell counts at six months and 18 months after treatment. Viral load and TB responses seemed similar across arms. There was no evidence of an increased risk of hepatotoxicity with higher dosage of rifampicin. Merle concluded that further study would be needed in order to explain more precisely these results adding that pharmacokinetic substudy results will be important to consider. While there didn’t seem to be any significant difference in smear or culture positivity at month 2, these may not be the most critical measure to predict long-term treatment success or survival. According to a presentation by Dr Clifton E. Barry of the NIH and the University of Cape Town, a key reason for drug-sensitive TB treatment failure is the persistence of TB within some types of lesions in the lung despite standard treatment because the drug pharmacokinetics in those lesions is different from that in plasma. Boosting the dose of rifampicin may better reach TB within those hard-to-treat lesions. Merle CS et al. High-dose rifampicin tuberculosis treatment regimen to reduce 12-month mortality of TB/HIV co-infected patients: the RAFA trial results. 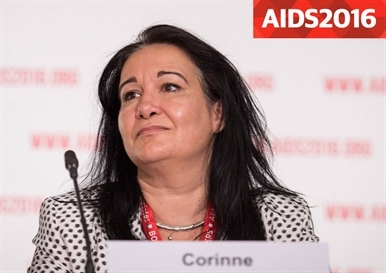 21st International AIDS Conference, Durban, abstract WEAB0205LB, 2016.